The students of Yeshiva University will hold their annual Seforim Sale, North America’s largest Jewish book sale, from Feb. 7-28, 2016, in Belfer Hall, 2495 Amsterdam Ave on YU’s Wilf Campus in Manhattan. The sale is operated entirely by YU students—from ordering books to setting up the premises, marketing and all the technology the project demands. 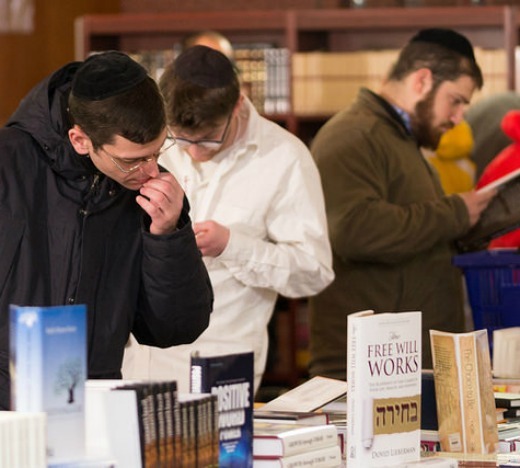 Last year the acclaimed Judaica book sale drew more than 15,000 people from the tri-state area and grossed more than $700,000 in sales. The annual event provides discounted prices on the latest of nearly 10,000 titles in rabbinic and academic literature, cookbooks and children’s books. The 2016 Seforim Sale will also offer a wide range of music and Judaica options from around the world. 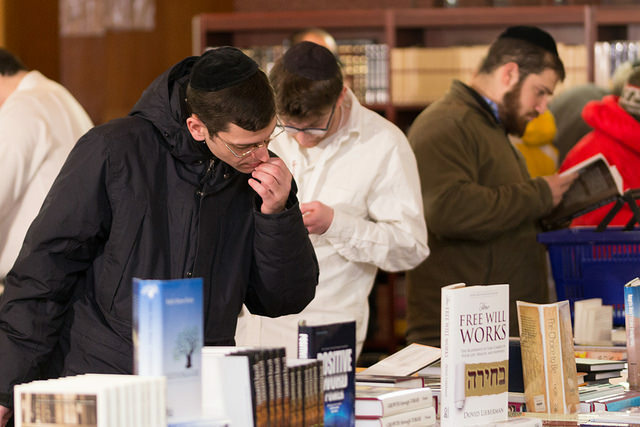 The Seforim Sale has become a highlight for the YU community, as students, alumni and members of the community gather to visit their alma mater, see old friends and add books to their personal libraries. Proceeds from the sale support various initiatives, including student activities on campus and undergraduate scholarships. Those who cannot attend the sale can take advantage of the great prices and vast catalog selection by ordering online on the Seforim Sale’s website. Click here for a complete listing of dates and times, to purchase gift certificates or to view the online catalog.